Hey! any X-Men fans here? Hands up in the air! I can’t wait to watch the X-Men Apocalypse movie premiere tomorrow. I am excited and at the same time I have some good news to share with you all too. MENTOS is running a contest for the up-coming X-Men Apocalypse movie, offering exclusive X-Men prizes and cash prize up to RM5,000. So don’t say I don’t tell you the good news, continue to read how to win? The Mentos Unlocks the X-Power in You contest is quite easy, it only takes 3 steps to complete and you stand a chance to win prizes worth more than RM50,000 including cash of RM5,000 for the grand prize winner. The contest starts on 1st May 2016 and will run until 19th June 2016. 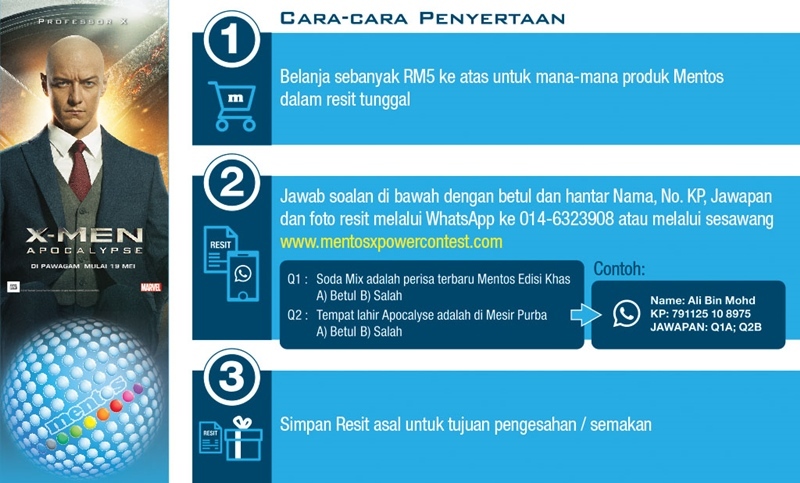 All you need to do is to purchase of RM5 and above in a single receipt to participate on Mentos Unlocks the X-Power in You contest, then answer the given questions correctly and sending the answers alongside with your details via Whatsapp or MMS, or through the contest website. Kindly take note that the winners are judged based on the highest number of correct answers during the contest period, and please keep the original receipts for verification and prize collection. Let’s check out the cool prizes! For weekly prizes, every week there will be 20 winners will win exclusive X-Men toiletry bag and T-Shirts worth RM 170. 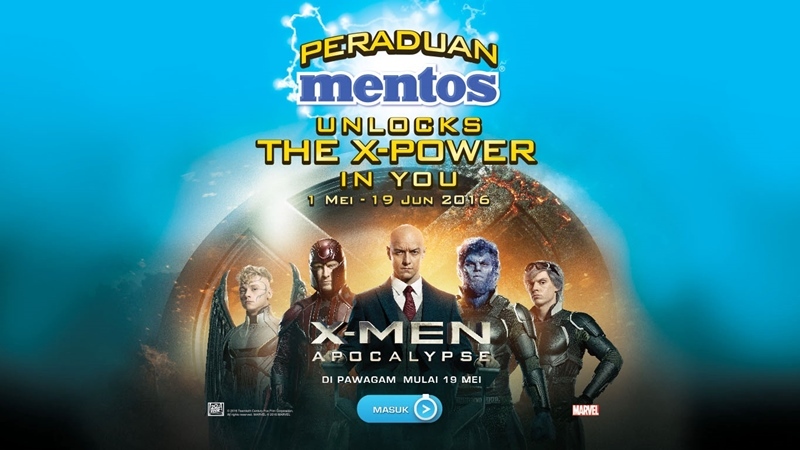 While the grand prize is an exclusive X-Men Apocalypse Keyboard Laser, with a trolley bag, T-shirt, RM5,000 in cash and one year’s supply of Mentos. Wow! I want to win the X-Men Apocalypse Keyboard Laser and of course the RM5000 cash are awesome. 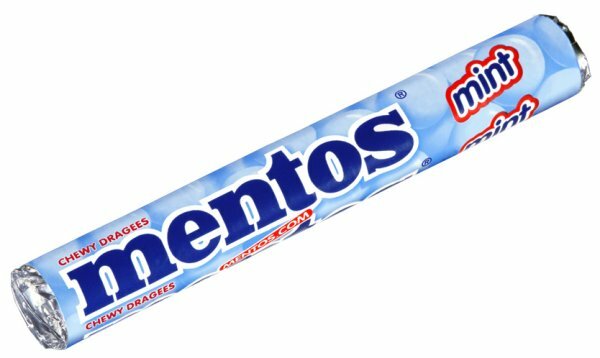 I've been eating Mentos like forever but they never have any interesting promotions until now. Will join! Thanks for sharing. love mentos, not to sweet and cooling. will join the contest!